A World Cup squad is unlikely to please everyone but it was a far easier task for the Board of Control for Cricket in India (BCCI) selectors when they met skipper Virat Kohli in Mumbai on Monday. When you consider the form and ability of the players at their disposal, few matters remained unsettled. Most spots in the final 15 had already been claimed by a team that will arrive into the World Cup as a serious contender. There was unlikely to be a repeat of 2003 when a batsman of VVS Laxman’s calibre lost out to Dinesh Mongia. This time around, the conversation around the Indian side was preoccupied with the number four position – a problem area for the team even as impressive victories have been earned home and abroad. The middle-order has let India down in a few crunch situations recently. In a major tournament, little can be left to chance. So, the BCCI selection committee sought reliability. In Dinesh Karthik, who was part of the World Cup squad in 2007, India has an experienced wicketkeeper who is familiar with the team setup. The 34-year-old seemed set to miss out on the World Cup when he was left out of the ODI series against Australia but Rishabh Pant’s iffy graduation to international cricket gave the selectors cold feet. So, we ended up in a strange situation where India’s preferred keeper in Tests missed out on selection for the World Cup because he is not a reliable gloveman. However, Karthik is unlikely to feature much in England. The much-debated number four spot is likely to be held by Vijay Shankar. 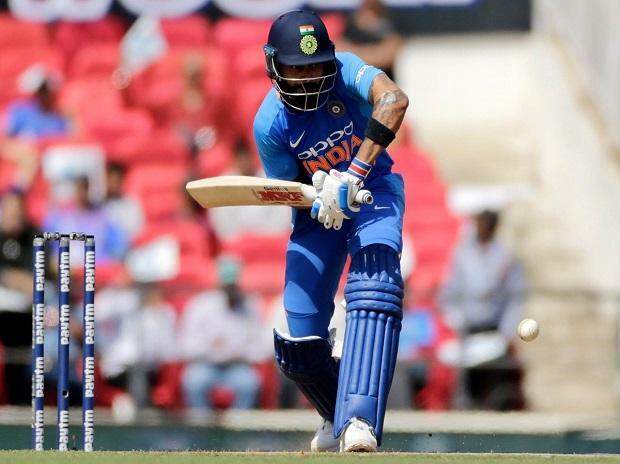 The all-rounder had not played ODI cricket for India until January this year but his reasonably good skills in all departments encouraged Kohli and the selectors to identify him as a middle-order batsman. The incumbent Ambati Rayudu, a member of the World Cup squad four years ago, finally paid the price for his inconsistency. Despite scoring runs at an average of 42 since his return to the side last year as a number four batsman, the 33-year-old had failed to assert himself in overseas conditions. The announcement of the World Cup squad also confirmed that KL Rahul and Hardik Pandya are unlikely to receive further suspension for their appearance on Koffee with Karan that saw them engage in sexist behaviour. The duo is likely to play a key role in India’s World Cup campaign as Rahul could feature at number three with Kohli dropping a place down in the batting order while Pandya is India’s preferred all-rounder in the 50-over game. With most bases covered, the composition of India’s eleven will hinge on the conditions and opposition of the day. There is no reason to think that the Indian side is inadequate in any respect. Kohli’s team for this summer’s World Cup found its shape a while ago; eleven of the selected 15 were part of the Champions Trophy squad two summers ago when India reached the final. The confidence in the Indian side arises from its capabilities with the ball. In Jasprit Bumrah and Kuldeep Yadav, India has arguably the best pacer and spinner respectively in 50-over cricket. The other options are not much worse – Bhuvneshwar Kumar, Mohammed Shami, Yuzvendra Chahal, and Ravindra Jadeja are all experienced campaigners now. Hardik Pandya and Shankar could prove to be handy seamers in England while Kedar Jadhav will add off-spin to the attack. And in case there are any injuries, four back-up pacers will travel with the squad as net bowlers. With little to fault in the squad, attention will turn to India’s opening encounter against South Africa on June 5 in Southampton. But before that, the not-so-small matter of the Indian Premier League is yet to be resolved. Injuries or fatigue will be a concern till the final ball is bowled in the T20 competition. Furthermore, with the exception of KL Rahul, Chahal, and possibly Bumrah, none of the Indian World Cup squad members have shone brightly in the first three weeks of the tournament. Perhaps, the players are holding themselves back for the more important assignment this summer. But, in some cases, the lack of form will disturb observers. The abysmal state of Royal Challengers Bangalore would not have helped Kohli’s mood or flow and a break before the World Cup is perhaps mandatory for the captain. Recent developments notwithstanding, there will be a strong desire within the Indian squad to make up for past failures. It has been six years since India won an ICC event – the 2013 Champions Trophy that was played in England. Captain Kohli and his predecessor MS Dhoni won the World Cup in 2011 but nearly half of this squad lost in the semis to Australia four years later. However, nothing is more remarkable when you recall that India will go into this World Cup with the same keepers as it did for the 2007 tournament – a campaign that ended prematurely in the first group round. A repeat of that shock result is very unlikely; India will enter the upcoming World Cup as the joint-favourite alongside England.